It rained here today, and I am so happy to see the damp soil in my plants’ pots. It’s been extremely dry for over a month now. During the drought, I’ve been patiently watering our flower pots by hand and since our voluntary watering ban was put in place a few weeks ago, I added hand watering our gardens to the list as well. 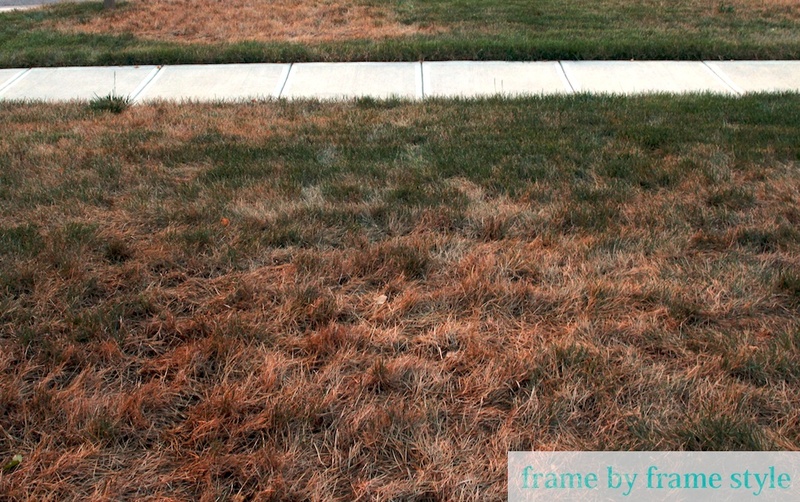 We finally decided to call it quits on watering our lawn and its starting to suffer. Hopefully more rain is on its way soon. Thankfully, our gardens are still going strong. Last week, it cooled down enough to mulch and the layer of mulch is helping keep the moisture in the flower beds. 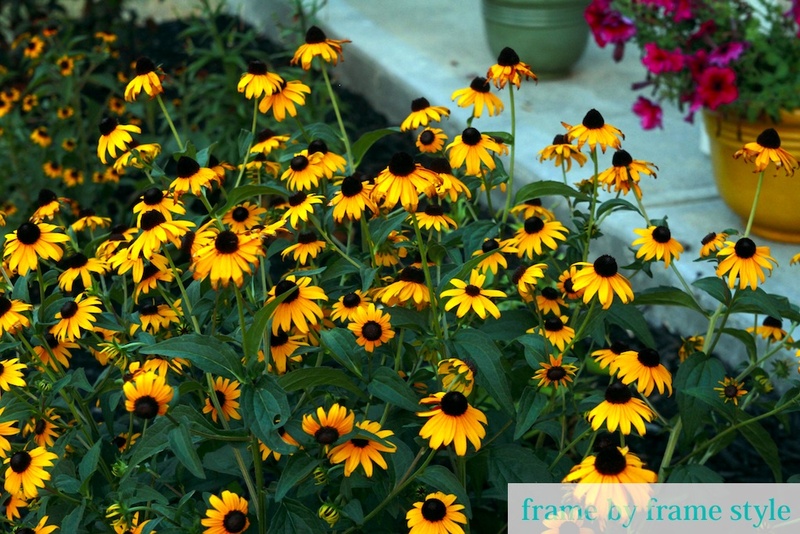 Our Black-eyed Susan’s are also doing really well despite the drought. I think they are getting a decent amount of shade from the tree in our yard. Stay cool everyone and if you are in a drought area, I hope it rains soon! 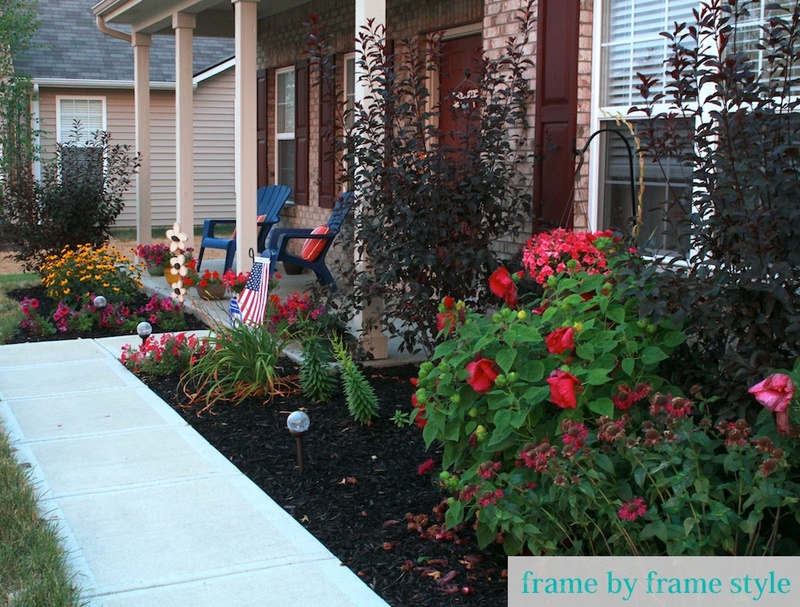 This entry was posted in outdoor and tagged black eyed susan, drought, drought area, flower beds, flower pots, Flowers, grass, mulch, outdoors, rain, Summer by Frame by Frame Style. Bookmark the permalink.